So it looks like the quilt is still on the frame but it’s just laying on top of it. Not the best quilting but I can do it on Bailey and the quilt is another step closer to being done. Next thing is to trim and bind! Celtic Solstice – Finish putting together all the Block A’s. And if I have time, check out the next step and get started on it… Block A’s are done and the next step is to press it. With the number of Block A’s I’ve got, I think I’ll be doing these a bit at a time. If I feel up to it, I may get started on the next step. Scrapbooking – do 1 page … not done, I’m stalling on this one and I just need to get myself going on it. I know if I would just pull something out and do something, it will get my momentum going. It’s just getting started that is difficult right now. I don’t know where to start. 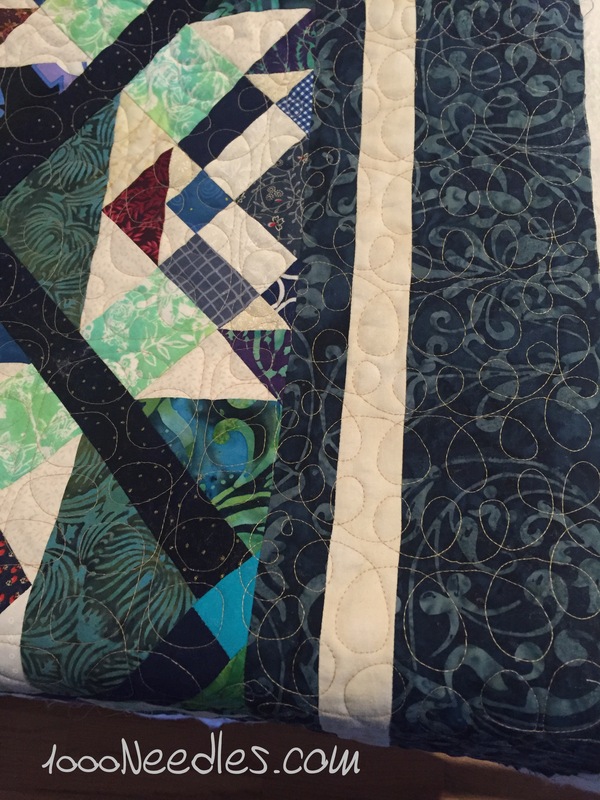 I like the quilting, it is something will do when I want to keep it light and airy. Just get it out and do one page… so easy to say but so hard to follow up and actually do. I get so bogged down on what pictures to use, how to make a great page, etc. I just quit scrapbooking before I did more than 5 or 6 pages. But I still pull out stamping stuff to make a card now and then. 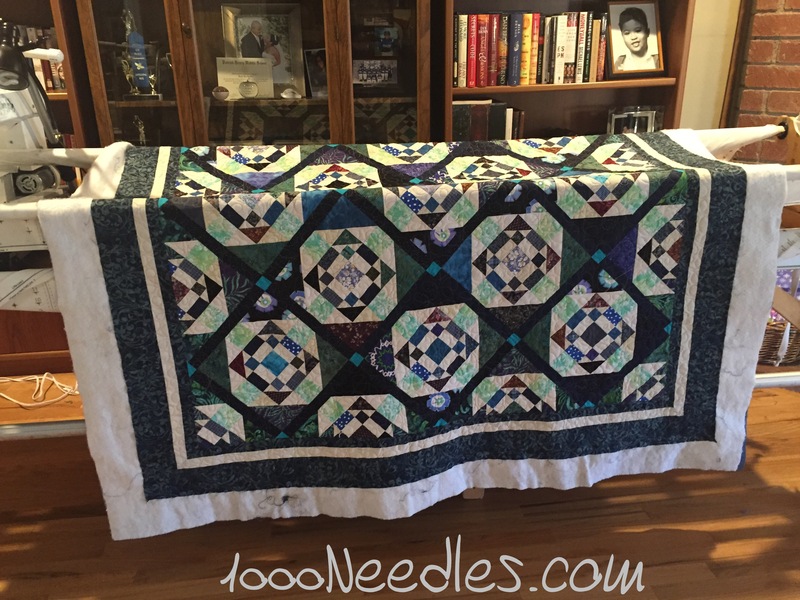 Quilting keeps me fully involved and who wants to bring out other stuff when I love my quilting time! Scrapitude is wonderful with a GREAT name. Yay, another finish! It looks great.